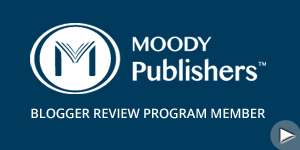 The Moody Publishers Blogger Review Program provides bloggers with free copies of Moody Publishers products. We require participants to post their review on their blog as well as another online consumer site such as Amazon.com. Once you’ve completed the form we will review your application and send you a confirmation email for your registration with the MP Newsroom. By applying for our program, you are giving us the rights to publish your review on this site and moodypublishers.com. The review should be honest. Please base your review on the entire book. After you finish writing your review we ask that you post it on your blog as well as a consumer retail site (amazon.com, barnesandnoble.com, christianbook.com, overstock.com, walmart.com etc.) Books must be reviewed within 60 days of receipt. Log in to your account and fill out the blogger review submission form within your account dashboard with all of the required information. This will allow you to sign up for additional titles to review. Now that you're one of our Bloggers, connect with others and discover what others are talking about. Join our Facebook Group.